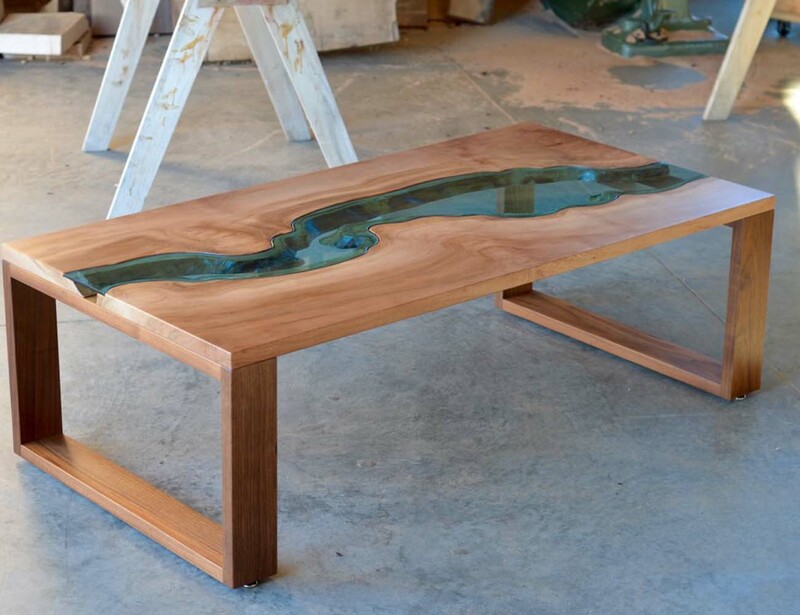 Introducing the Burled River Coffee Table by Greg Klassen, a table inspired by the trees on the bank of the Nooksack River in Washington. 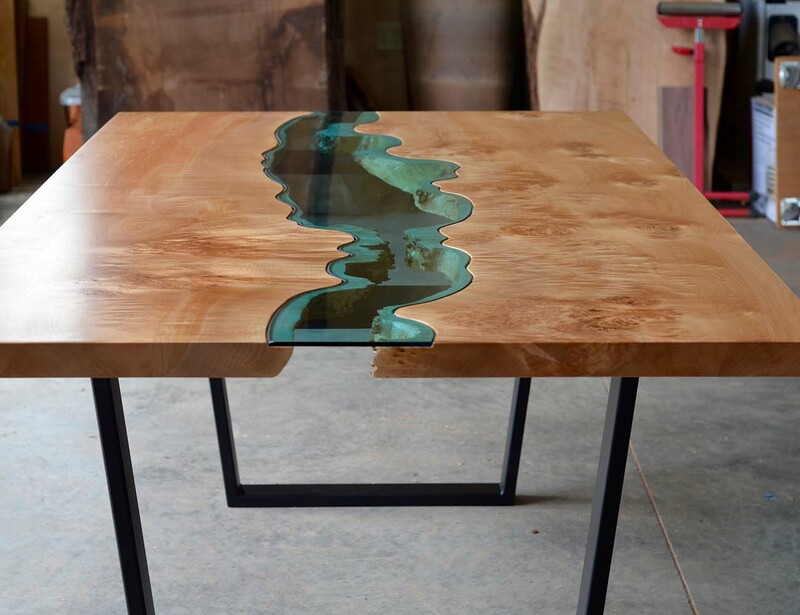 Using the stunning edges and grains found in the trees, Klassen has hand cut blue glass to the exact layout of the grain to create a 3D river-like design on the top of the table. 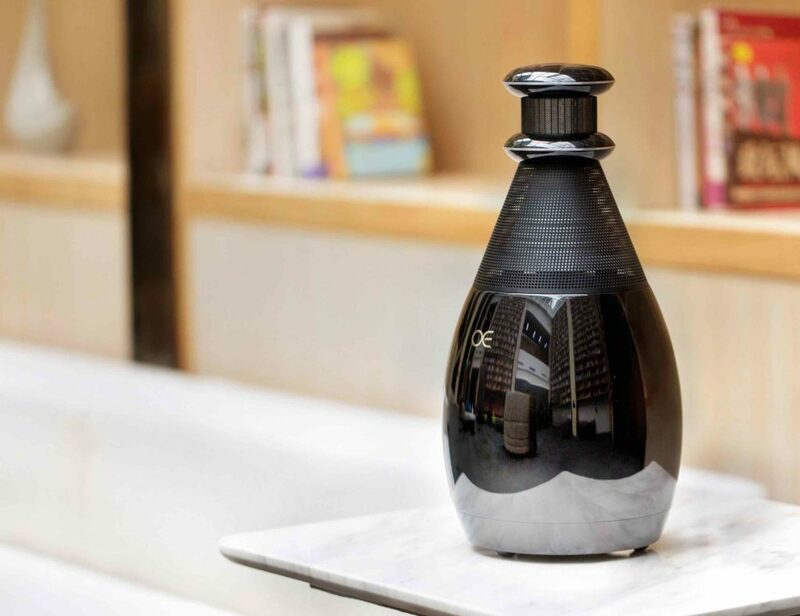 The wood surface of the Burled River Coffee Table has a super smooth finish while the wood below the glass retains its natural shape and curvature. Putting an incredible amount of time and detail into each, no two tables are identical. 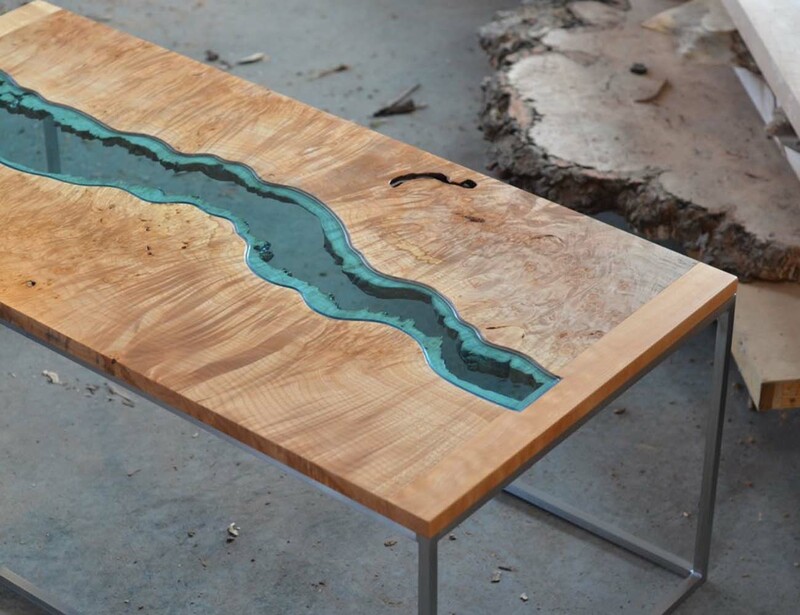 The Burled River Coffee Table is made with quilted maple and walnut and measures 42 inches long, 25 inches wide, and stands at 16 inches tall. 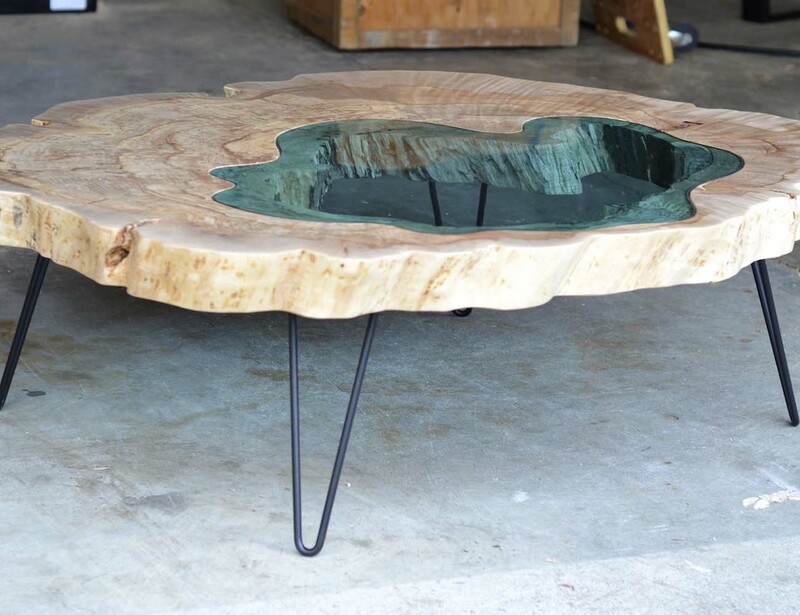 Harmonizing craftsmanship and nature, the Burled River Coffee Table truly celebrates the world around us. 42" x 25" x 16"